Al Kitaab is probably the most commonly used Arabic language textbook. 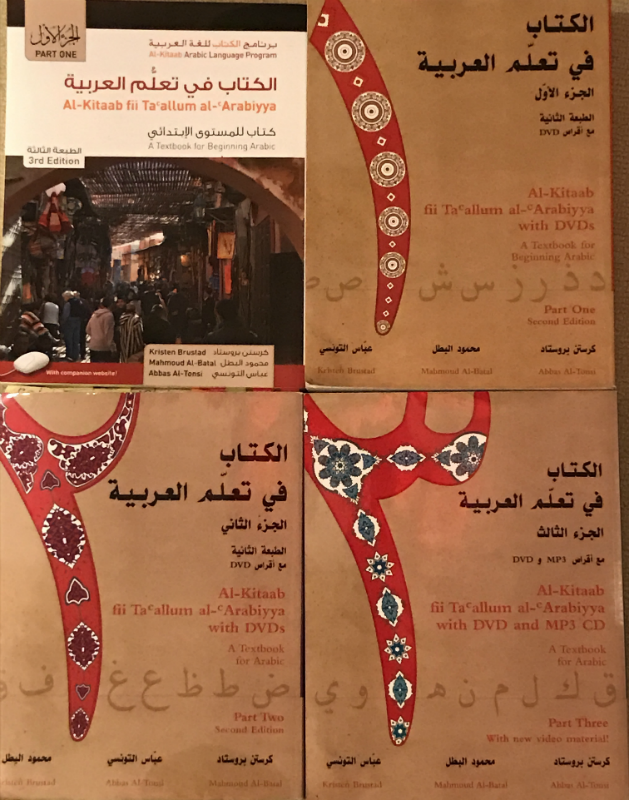 The Al-Kitaab Arabic language textbook program uses a communicative, proficiency-oriented approach with fully integrated audiovisual media to teach modern Arabic as a living language. Al-Kitaab teaches Modern Standard Arabic and gradually introduces language learners to Egyptian colloquial. At every level students will find additional authentic texts for reading and listening comprehension, vocabulary and grammar exercises, close listening and speaking activities, and cultural background. Each volume reinforces grammar and vocabulary through extensive exercises that provide constant review and expand to challenge students as they gain proficiency.